Take a look at a recent article from our staying on track section of the e-journal that focuses on keeping you up to date with changes in Markets, Product, Legislation and Regulation. The article provided below is taking a look at the lesson we can learn from the fines and prohibitions handed out by the regulator over the previous year. 2017 Fines and Prohibitions – What are the lessons learnt? These operational objectives are reiterated at every available opportunity in speeches, guidance, policy and consultation documents. 1. Integrity A firm must conduct its business with integrity. 2. Skill, care and diligence A firm must conduct its business with due skill, care and diligence. 3. Management and control A firm must take reasonable care to organise and control its affairs responsibly and effectively, with adequate risk management systems. 4. Financial prudence A firm must maintain adequate financial resources. 5. Market conduct A firm must observe proper standards of market conduct. 6. Customers’ interests A firm must pay due regard to the interests of its customers and treat them fairly. 7. Communications with clients A firm must pay due regard to the information needs of its clients, and communicate information to them in a way which is clear, fair and not misleading. 8. Conflicts of interest A firm must manage conflicts of interest fairly, both between itself and its customers and between a customer and another client. 9 . Customers: relationships of trust A firm must take reasonable care to ensure the suitability of its advice and discretionary decisions for any customer who is entitled to rely upon its judgment. 10. 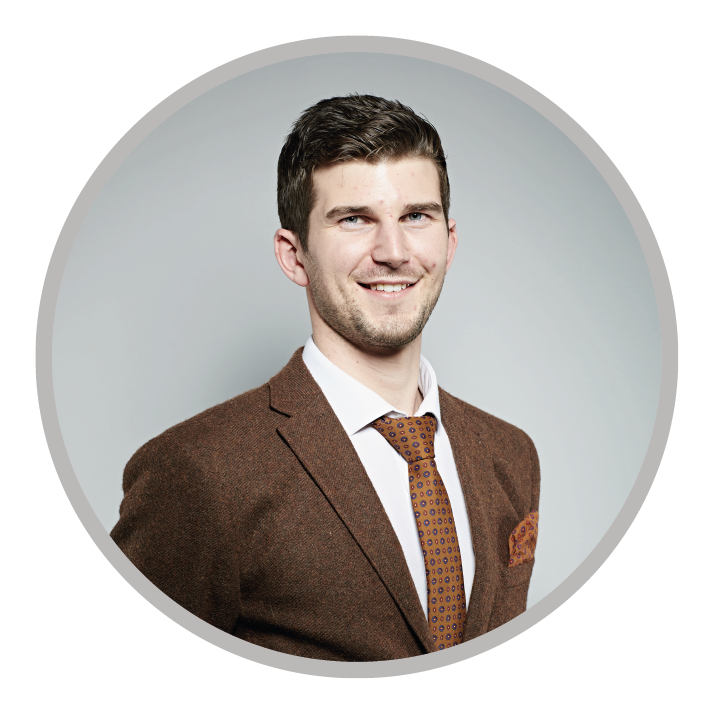 Clients’ assets A firm must arrange adequate protection for clients’ assets when it is responsible for them. 11. Relations with regulators A firm must deal with its regulators in an open and cooperative way, and must disclose to the FCA appropriately anything relating to the firm of which that regulator would reasonably expect notice. The regulator expects a firm to conduct their business aligned to these 11 Principles for Business. This fine in particular, has forced firms to refocus their own efforts to combat financial crime as any or all of the above could fail if not regularly checked for reliability and effectiveness. For failing to report 68.5 million exchange traded derivative transactions between 12 February 2014 and 6 February 2016. Interesting, as this was the first enforcement action against a firm for failing to report details of trading in exchange traded derivatives, under the European Markets Infrastructure Regulation (EMIR), and reflects the importance the FCA place on this type of reporting. Under MiFID II, of course, this type of firm failure will come under even more scrutiny as the obligations for transaction reporting are more arduous with significantly more data required for every reportable trade. For failing to comply with the International Accounting Standards and report an impairment to the Market. Whilst this is not a breach of Principles, we shouldn’t forget that the FCA is also the UK Listing Authority and this demonstrates its ability to reach beyond Financial Services firms in order to ensure that markets function fairly and effectively. In this instance Rio Tinto had failed to carry out tests and impact losses when valuing a mining asset, which led to inaccurate and misleading information within its half year reporting in 2012. Also acknowledged in the press release, was the assistance and collaboration of the U.S. Securities and Exchange Commission and the Australian Securities & Investments Commission in this matter. This again highlights the reach of the FCA to go beyond UK boundaries in its power to investigate. For having inadequate systems and controls and failing to provide information to its customers about Bluefin’s independence in a way that was clear, fair and not misleading between March 2011 and December 2014. At that time Bluefin, a large insurance broker, was wholly owned by the insurer AXA UK Plc, but held itself out to be ‘truly independent’ in the advice it provided and the insurers it recommended to customers. Bluefin’s independence was compromised by its culture which promoted business strategies, including a policy which focused on increasing the business placed with its parent company, over treating customers fairly. This fine also has lessons for a number of firms who are covered by the Retail Distribution Review, which expects firms to clearly explain to the customers if they are “restricted”. 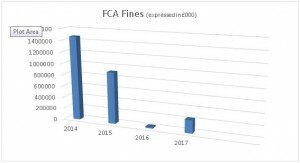 The issues at Bluefin were uncovered as part of a file review undertaken by the regulator in 2013 and upon further investigation the FCA found that training on conflicts was at too high a level and not specific to the firm. What would happen if the regulator conducted a review of your files to check for clarity of messaging to clients? What training have your staff had to make sure this is specific to your organisation? With the exception of the Rio Tinto fine, the others all cite PRIN 3. 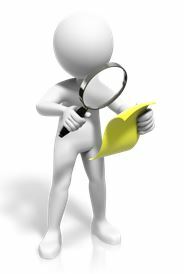 Checking policies are being adhered to and are fully understood by those operating the policies. Stress testing needs to take place regularly to make sure they are still fit for purpose, as things frequently change, with regulation often being the primary driver of that change. March £37,198 For breaches of APER 2 related to wholesale conduct in investment banking sector. April £11,900 For breaches of s.118(7) Financial Services and Markets Act 2000 and FIT related to market abuse, a lack of fitness/propriety and client money/assets in the trading firm sector. April £105,000 For breaches of s.118(7) Financial Services and Markets Act 2000 and FIT related to market abuse, a lack of fitness/propriety and client money/assets in the trading firm sector. July £75,000 For breaches of APER 6 related to a lack of fitness/propriety in the pensions sector. September £86,691 For breaches of APER 6 and FIT related to appointed representatives/ networks, culture/governance, lack of fitness/propriety and unfair treatment of customers in the Investment Adviser sector. October £10,000 For breaches of APER 2 and APER 7 related to unfair treatment of customers, Complaints-handling and lack of fitness/propriety in the investment adviser and sector. Imposed a fine, withdrawal and prohibition. October £50,000 For breaches of APER 4 and FIT related to a lack of fitness/propriety and failing to be open and co-operative in the investment adviser sector. Imposed a prohibition, withdrawal and fine. November £60,090 For breaches of section 118 FSMA related to market abuse in the trading firm sector. Imposed a financial penalty. December £70,000 For breaches of the Market Abuse Regulation related to market abuse in the issuer sector. Imposed a fine. Remember the Statements of Principle for Approved Persons Regime has now been replaced for many by new Code of Conduct (COCON rules) but what remains central to behaviour of individuals is their ability to demonstrate they are fit and proper. The focus on firms is to test this regularly, and not assume it. So, what is FIT (Fitness and Propriety)? 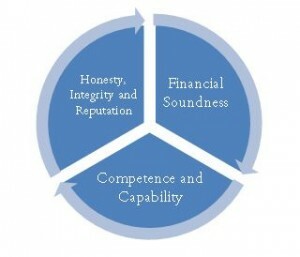 Formed of three main areas, it should be core to any firms Training and Competence regime for all staff. Any evidence or action to the contrary will bring into question the appropriateness of that individual’s ability to continue to perform their role. It is clear that the FCA will not tolerate evidence of wrongdoing when it is discovered. It is abundantly clear that the FCA continues to focus on bringing firms and individuals to account, and will continue to do so. Lessons learnt from previous enforcement notices should be taken on board – a focus on ensuring a fair outcome for consumers will go a long way to achieving this. Implementing robust controls and processes, along with managing conduct risk, and monitoring individuals’ behaviour. If you are interested in subscribing to Advice Matters, either as an individual or on behalf of an organisation please complete the form below and a member of the team will be in contact to register your subscription. Make your subscription request to 'Advice Matters' e-journal by filling in your details below. Don't forget to sign up to receive other communications from us regarding training & consultancy services and newsletters containing industry news and updates.